ere’s a million-dollar question everyone needs to ask: what is your plan for long-term care? Everything you’ve planned for retirement could be wiped out if you don’t discuss this. 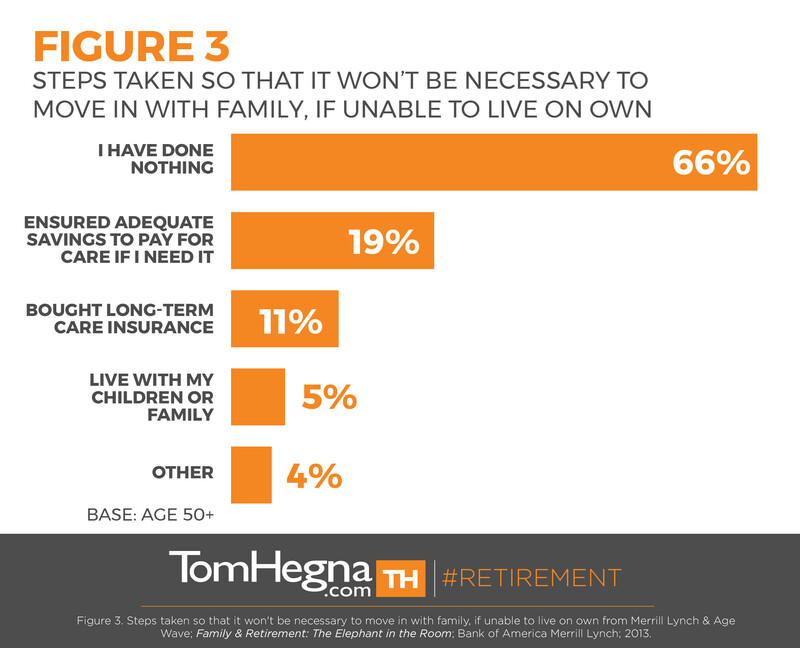 No one wants to admit they will need long-term care, and yet your clients say it is the number one issue they want you to solve! Let me prove to you that your clients need to talk about it, actually WANT to talk about it, and exactly HOW you can discuss this sensitive subject. Long-term care costs could represent one-million dollars or more in future liability for your clients and their family. 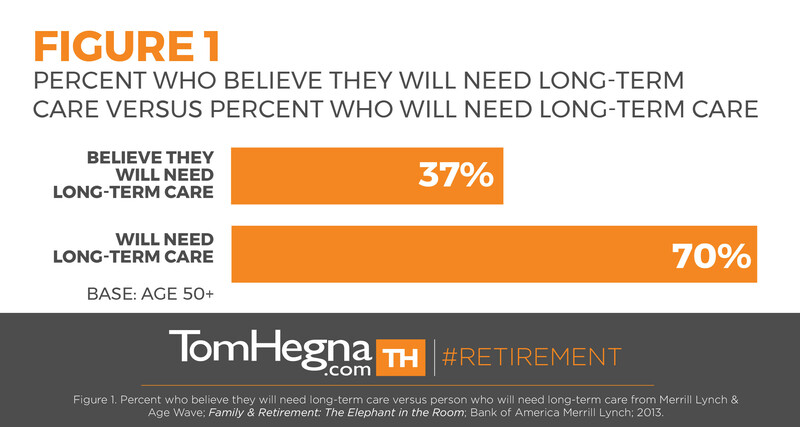 The U.S. Department of Health and Human Services reported in 2013 that only 37% of people believe they will need long-term care, while 70% will actually need it (see figure 1). 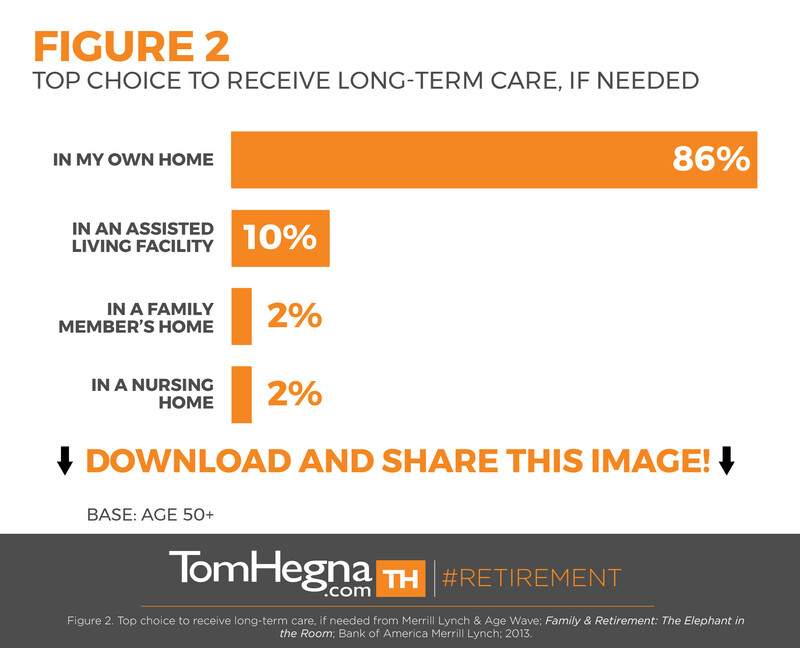 What’s worse is that receiving long-term care in their own home was their top preference according to a 2013 study by Age Wave titled, "Family & Retirement: The Elephant in the Room" (see figure 2), but 66% have done absolutely nothing to ensure that plan is successful (see figure 3)! ANY plan is better than no plan, and every optimal retirement needs to consider this million-dollar question. While discussing long-term care can really feel like an elephant is in the room, that just adds to the proof that your clients want to talk about it. Believe it or not, many pre-retirees and retirees want to talk with YOU about long-term care, but they’re just not sure how. 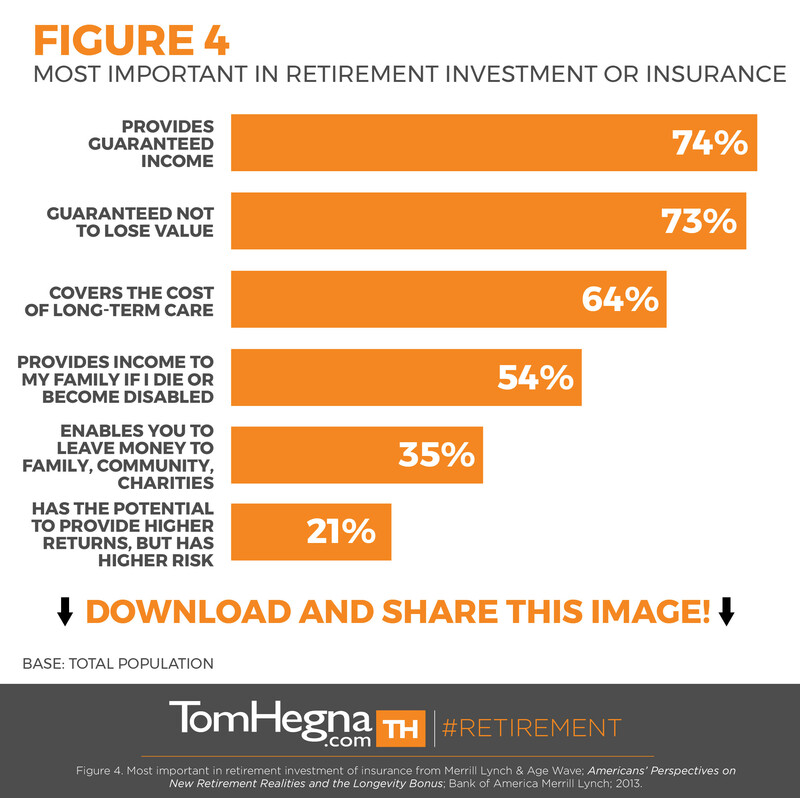 When considering investments or insurance, people age 45 and older say “covering the cost of long-term care” is the third most important strategy to discuss according to another Age Wave study from 2013 titled, “Americans’ Perspectives on New Retirement Realities and the Longevity Bonus” (Figure 4). 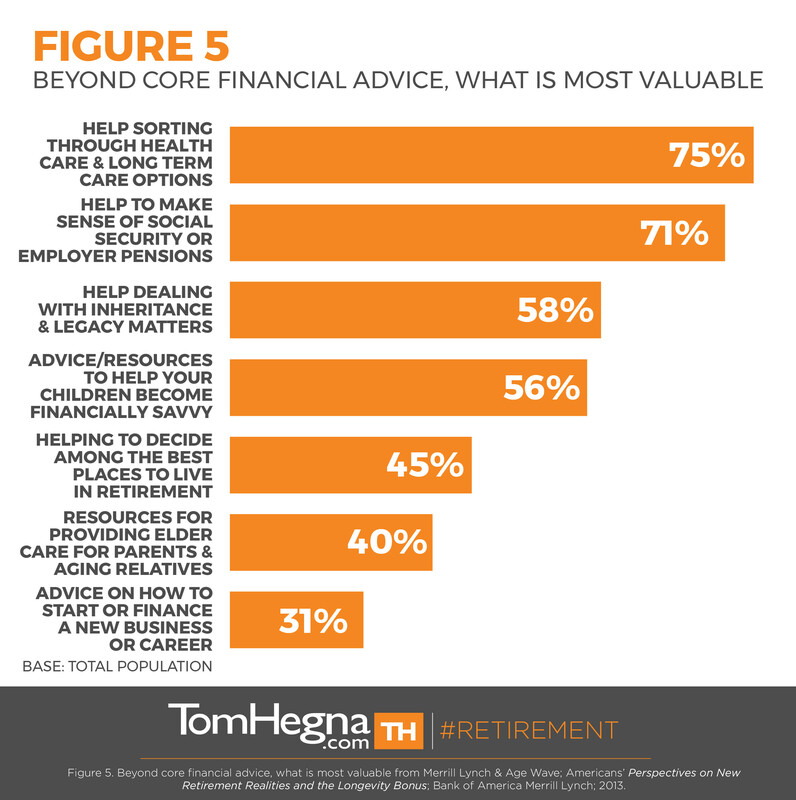 In fact, “help sorting through health care and long term care options” ranked number one as the most valuable advice beyond core financial advice (Figure 5). However, this stat goes to show that consumers often don’t understand the difference between healthcare and long-term care. Could YOU teach them difference? Are YOU prepared to discuss long-term care with your clients?